In 1985, Australian auteur Peter Weir came to America to make his first Hollywood film. For this effort, he chose Witness about a young Amish boy who sees a murder and the police officer who is trying to protect him and his mother. 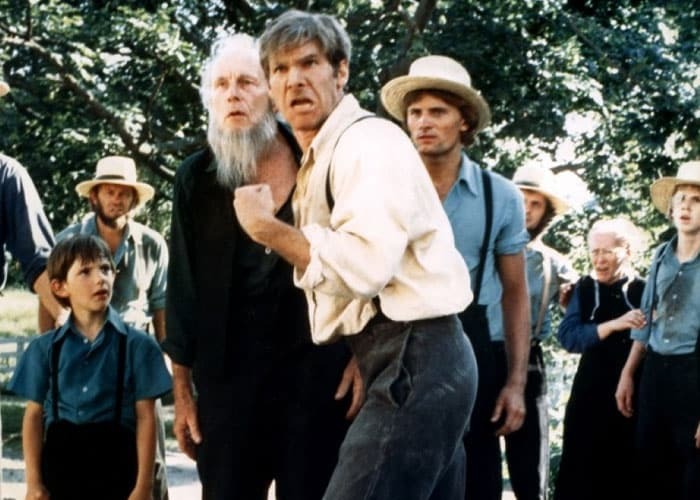 Nominated for Academy Awards, including one for Harrison Ford, does Witness deserved the attention or should it be buried in the corn? MovieDude Eric, Kent & Lobster head to Amish Country to find out. Hello! This post could not be written any better! Reading this post reminds me of my good old room mate! He always kept talking about this. I will forward this write-up to him. Fairly certain he will have a good read. Thank you for sharing!